Ever since becoming a wife and learning to run my own household, I have tried so many different kinds of cleaning products for our house and our laundry. 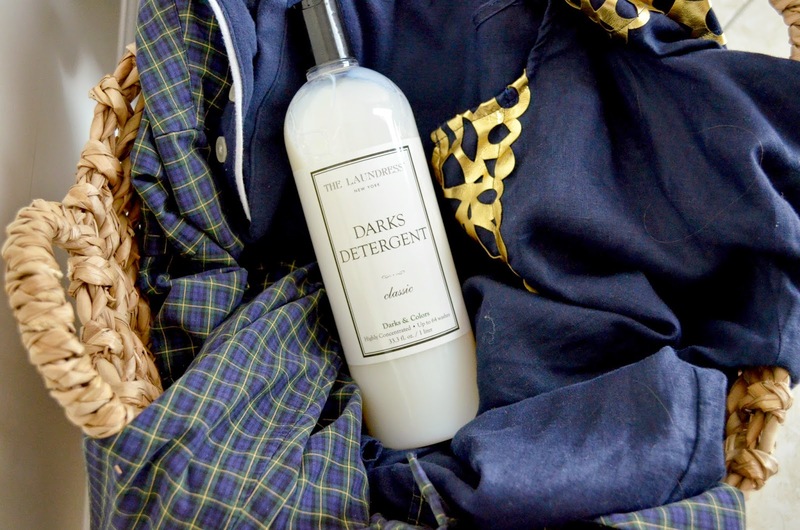 I recently decided to try to some products from The Laundress, and now I don't think I can go back. Our laundry have never felt so soft, smelled so good, and been so clean! I cannot say enough good things about the Signature Detergent, I use it on a lot of my husband's work clothes. Since it makes the clothes so soft it makes the wrinkles fall out of his clothes cutting down ironing time. Which for me thats a win! I have used Woolite for years, even before I got married but now that I have used the Darks Detergent I don't think that I can ever use anything else for my darks again. Half of my closet is navy so keeping those navy items rich and full of color is crucial to happy clothes. Along with the detergent, I ordered the Wash & Stain Bar and the Stain Brush. 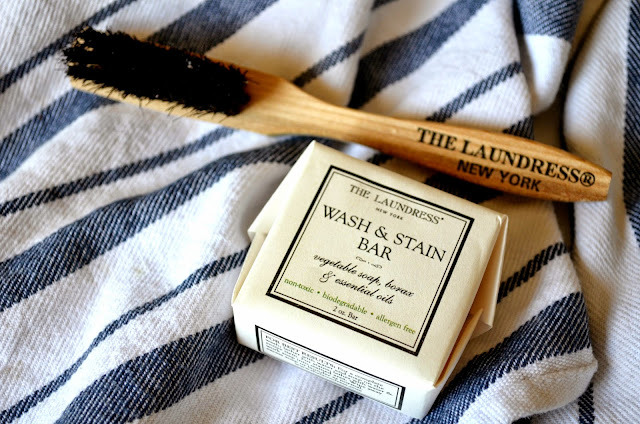 The Stain Bar is perfect for all kinds of stains, and the brush makes it easy to get all the tough stains out! 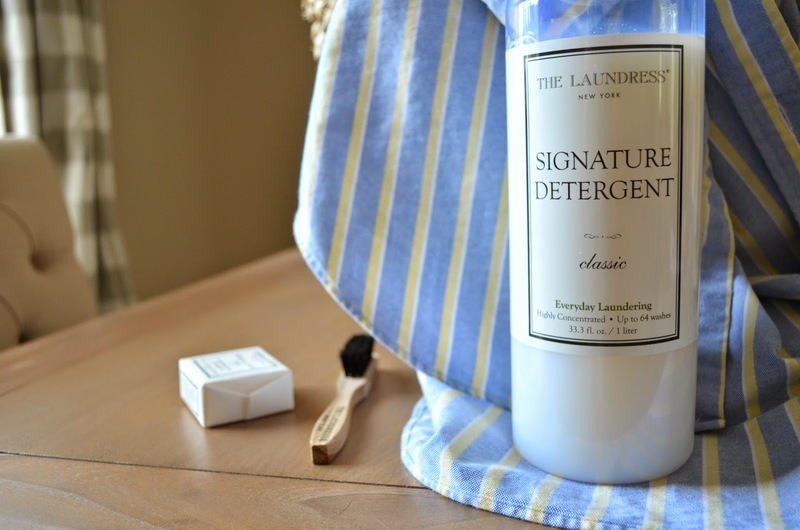 This is definitely a must have for all laundry rooms. Now, the Scented Vinegar isn't just for laundry, but it is what drew me to The Laundress. I like to use vinegar to clean with, but sometimes the smell is just unbearable. 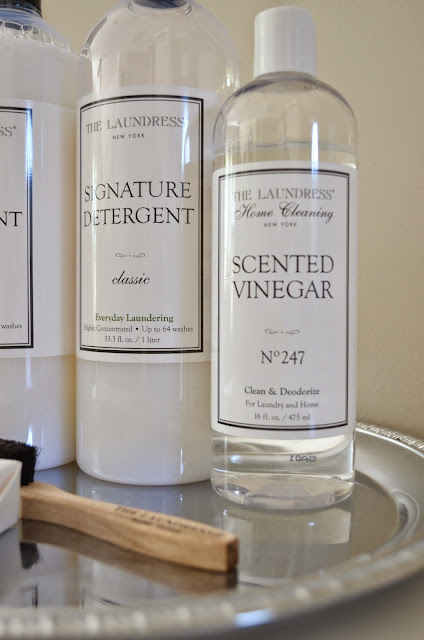 Vinegar is useful for so many uses around the house, and the wonderful smell makes it so much better!! 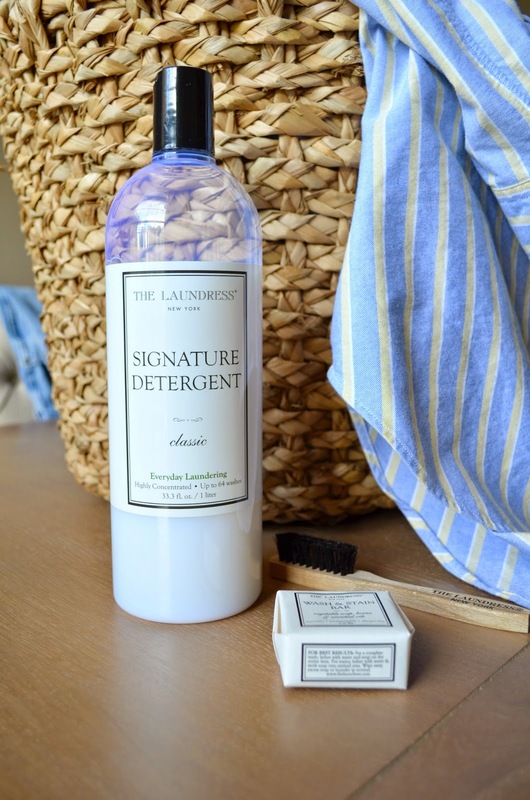 For all you moms out there, The Laundress also has a special set of laundry care items just for baby! It's hard to believe I am saying this, but I cannot wait to try these one day when I have a baby. I love seeing the words "Made in USA" on products! I am happy to support a company that makes their products here in the good ole USA. 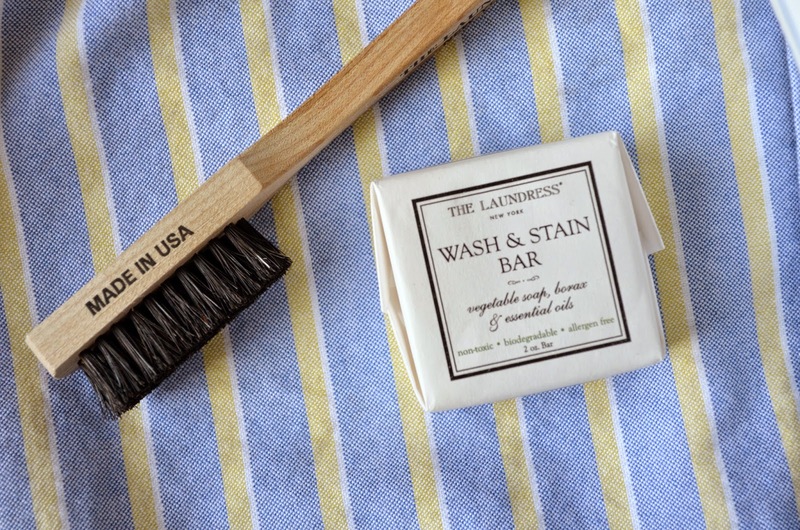 The Laundress products are safe for all types of washing machines. 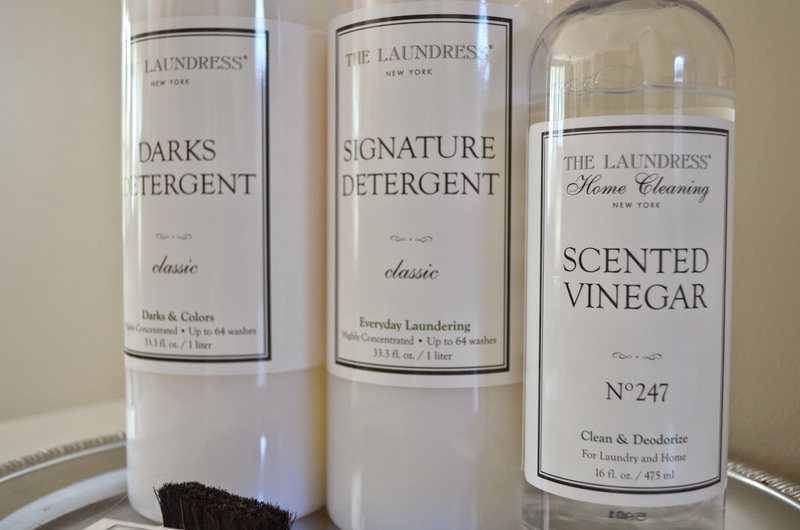 They also help to protect your clothes, even most dry clean only products can be washed with The Laundress. I see my clothes as an investment, and I want to do all that I can to keep them looking their best. Your post definitely made me want to order some products from this company...especially when you said that it makes the wrinkles fall out a little easier!